There are more neurons in our brain than there are stars in the Milky Way. No wonder we can learn any language, play any instrument, or acquire any other skill we put our mind to. It was getting dark in Edinburgh, Scotland. Leaning on the glass balustrade of the Dynamic Earth building and looking at the sky slowly filling with stars, my head was swirling with thoughts about the brain, languages, the universe, and ultimately, about the beauty of being alive. I felt as grateful for being there as I was sad, because the last day of the Second Neurolanguage Conference was coming to an end." An amazing day had gone by, with invaluable speeches about language, the brain, and coaching. “I want to do this again next year”, I thought to myself. In fact, I did one better. For this year’s conference, I’m not just attending it, but I’m helping to organize it, as well. As a result, I’m proud to say that this year’s neurolanguage conference is soon on its way, and it promises to be more exciting than ever before. I remember it as if it were yesterday. The moment I gave my own speech about how we can change language education around the world. More than what I said, I remember how I felt. More than the sounds coming out of my mouth, I remember the vibes I gave off and received from the audience. Education—in particular, language education—is something I take to heart. The participants liked my speech so much that Rachel Paling, the conference organizer, not only invited me to the third Neurolanguage Conference, she made me a co-host of the conference itself. Among all possible cognitive investments you can make, learning about your brain and how it works will improve your life in ways you cannot even start to fathom. Improving your relationship with your parents, friends and colleagues? Being more efficient at work, staving off inner and outer distractions, focusing much more deeply, and getting things done in record time? Learning languages like a pro? Working out or running more efficiently and more smoothly? You can do all that. And the more you know your brain, the easier doing all this becomes. It all comes down to the brain and how it functions. This conference is about the brain, the art of coaching, language learning ..and more. This time, I will give not one, but two speeches! The first one is about the 10 Golden Rules to Learn Any Language. I am convinced that if you know the principles that govern language learning, you have done 80% of the job, and the remaining 20% is figuring out how to adapt these principles to your own life. The second speech is How to Learn the Phonetics of Every Language. 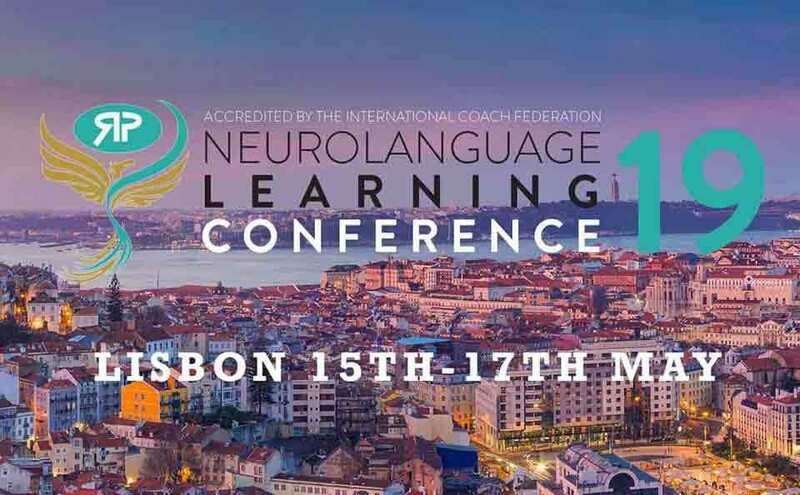 If you'd like to attend, and learn from some incredibly-skilled language experts, here is the Neurolanguage learning conference website to get more information. As a special bonus, use promo code ---> LUCACONF2019 to receive a substantial pre-order discount on any "Early Bird - Conference" Tickets. I will be waiting for you in beautiful Lisbon!